Dering Hall, the premier shopping and discovery site dedicated to exceptional, high-end design, featured Smilow Furniture several times this month. 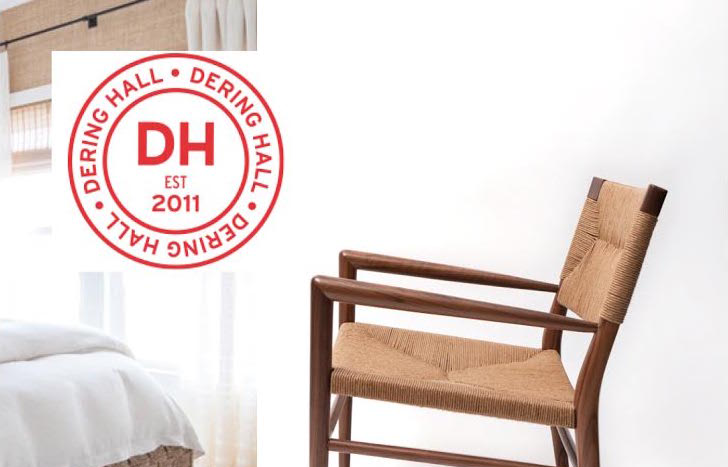 Smilow Design is a Featured Brand on Dering Hall this month. We must say, we find their taste impeccable. In addition, our WAC 88 - Woven Rush Lounge Chair is featured in their Designer To Watch Feature on New York-based interior designer and artist Matthew Caughy. "His style: Relaxed modern with an appreciation of the past. And his favorite material: Loving all things woven." Our WLC 22 Woven Leather Armchair and WO22 Ottoman is a featured product pick in a loft designed by Chicago-based collective Studio Gild in an editorial feature on Modern Loft-Style Living Spaces. "Designing spaces that are curated, provocative & timeless."